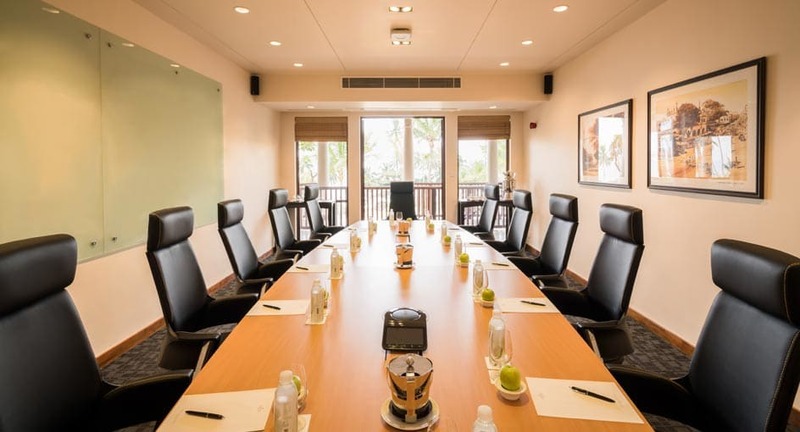 Meetings of distinction at our resort in Tangalle, Sri Lanka. Anantara Peace Haven provides a luxury coastal setting for your executive retreat. Gather in a formal boardroom, or opt for a more casual set-up at Journeys. Celebrate success with world-class dining, or team-build on adventures of discovery. A standout amongst hotels in Tangalle, Sri Lanka, Anantara Peace Haven is reachable by a 45-minute air transfer from Colombo. Alternatively, take the scenic 3.5-hour drive down the coast. Offering natural exclusivity. daylight bathes the boardroom and hints of the tropical coastline outside permeate. Conveniently located in the lobby lounge, this stylish venue is fully functional with the latest technology.